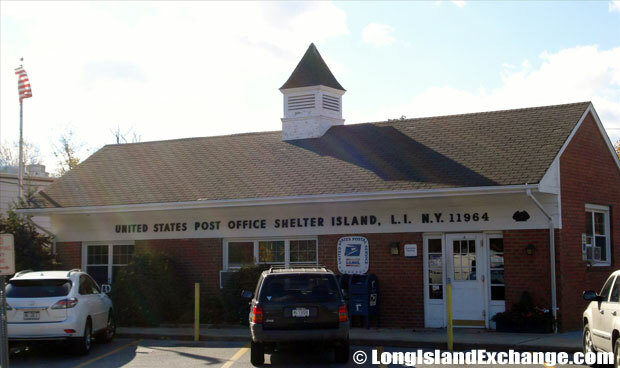 Shelter Island is a town located in Suffolk County, Long Island, New York. 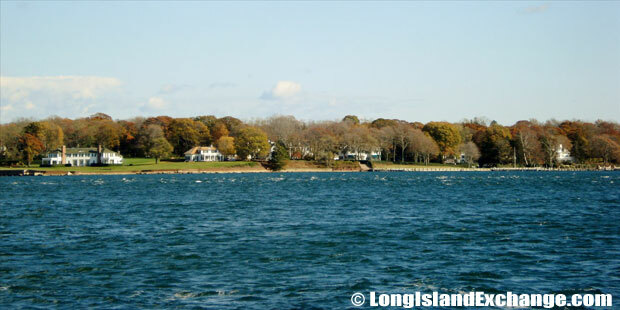 It is cuddled between the North and South Forks of Long Island. The area is bounded by the waters of Shelter Island Sound. The east side is adjacent to Gardiners Bay. 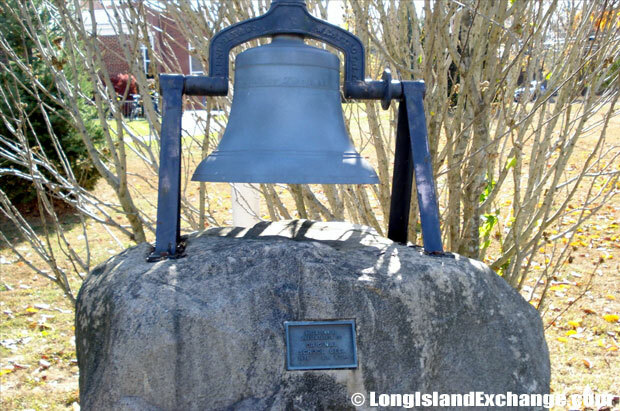 It can be reached via ferry from Greenport to the north or from North Haven to the south. The County road through the island is Route 114. As of the 2010 census, there were 2,392 people, 1,128 households, and 680 families residing in the area. The median income for a household in the town was $74,125, and the median income for a family was $79,345. The latitude of Shelter Island is 41.068N. The longitude is -72.339W. It is in the Eastern Standard time zone. Elevation is 0 feet. Shelter Island Town Hall, 38 North Ferry Road, Shelter Island. 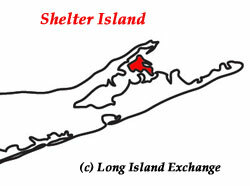 Shelter-Island Sound, between the North and South Forks of Long Island. In 1620, Shelter Island was once part of the original Plymouth Company land which was grant made by James I of England to the Earl of Stirling. After approximately 30 years, the land was sold to a group of Barbados sugar merchants for 1,600 pounds of sugar. One of the merchants named Nathaniel Sylvester made the purchase official by agreement with “Yoki” that is called “Pogatticut” who was the sachem of the Manhanset tribe. In 1673, Sylvester claimed ownership of Shelter Island, Fishers Island, and other parts of Long Island. The community name is a translation of the Indian name which meant “island sheltered by islands”. 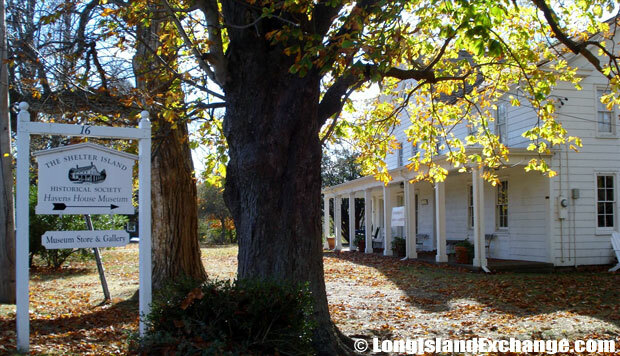 Shelter Island was once a plantation worked by slaves and prospered as a shipbuilding center. The schooner “Paragon” which ran blockade during the Napoleonic Wars was also constructed here. 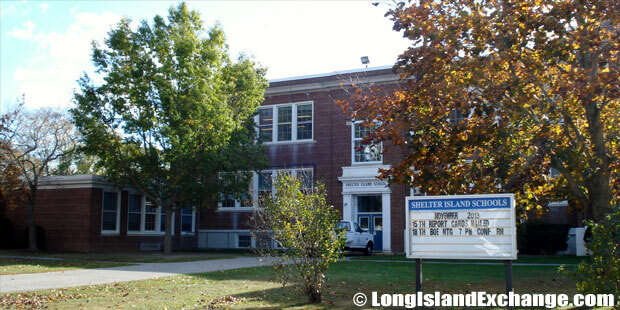 Shelter Island Schools, Shelter Island Union Free School District. Shelter Island Real Estate and Insurance Office. The Shelter Island Town Police Department. Shelter Island has been known for its notable residents living in the town. Among them were Faith Baldwin (romance novel author), Hugh Carey (politician), Amanda Clark (sailor), Itzhak Perlman (violinist), and Robert Lipsyte (sportswriter). The racial-makeup of the town comprises of 96.32% White, 0.72% Black or African American, 0.04% Native American, 0.49% Asian, 0.09% from other races, and 2.33% from two or more races. 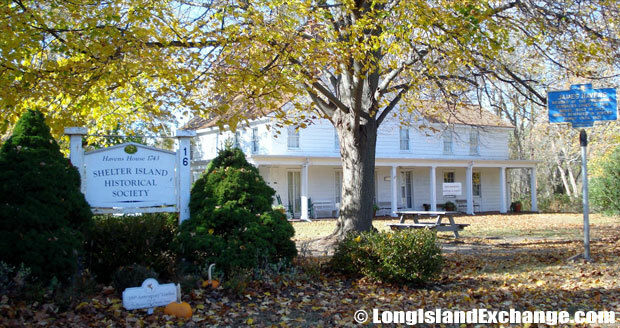 Shelter Island Historical Society Museum and Gallery. 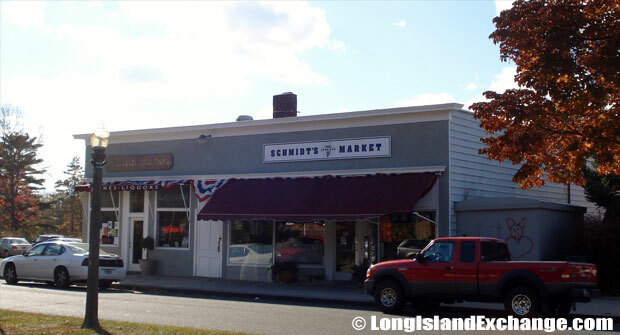 Schmidt’s Market,43 North Ferry Road, Shelter Island, NY 11964. 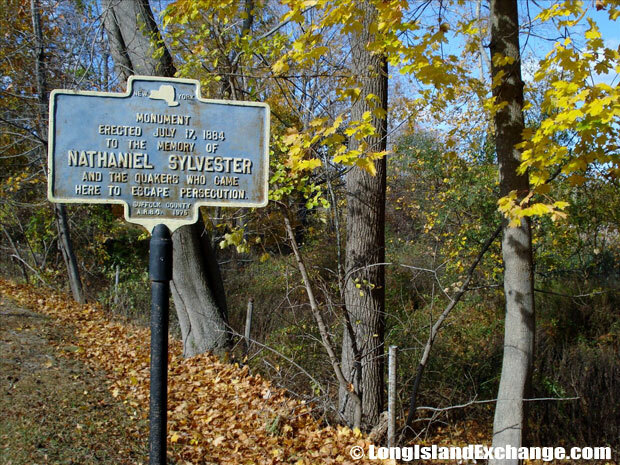 Historical Marker for Nathaniel Sylvester (1610-1680) who was the first European settler of Shelter Island. Erected July 17, 1884 in memory of Sylvester and the Quakers who came here to escape persecution. 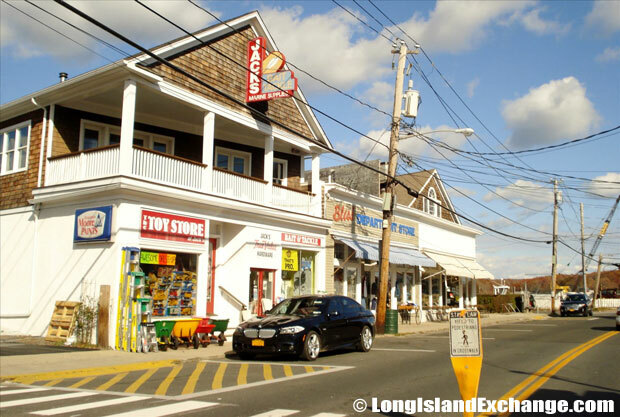 The town has been known as a center for political conservatism on Long Island. 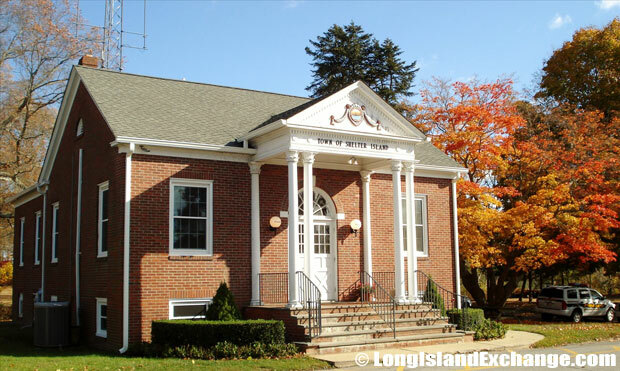 Shelter Island has undeveloped infrastructure with schooling through KG-12 grade levels that has a public library as well. 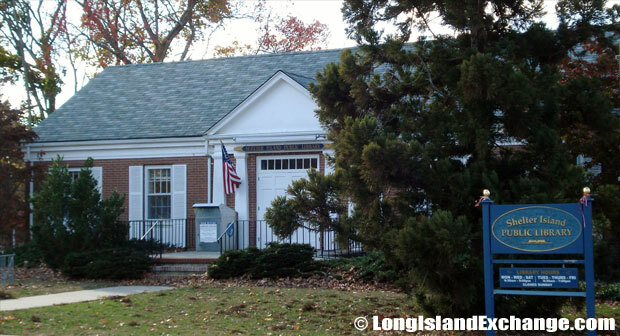 The Shelter Island Public Library provides on-line reference service to all residents. It has more than 30,000 books and uses modern computer systems and technologies. James Havens Homestead at 16 South Ferry Road, a historic home built in 1743 and expanded in the early-mid-19th century. 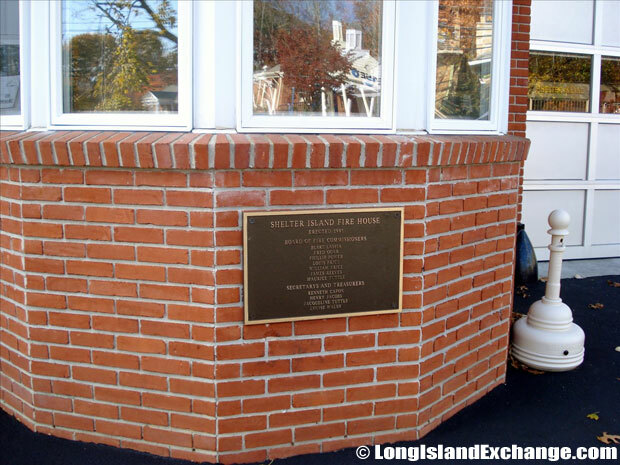 A plaque outside the Shelter Island Fire House. 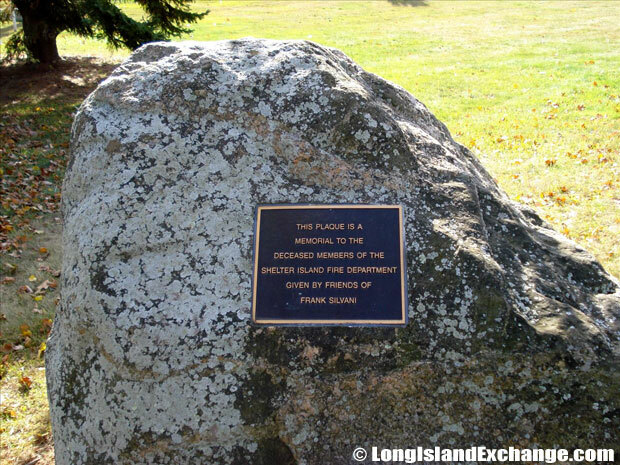 Memorial plaque dedicated to deceased members of the Shelter Island Fire Department, given by friends of Frank L Silvani (1926 – 2002). 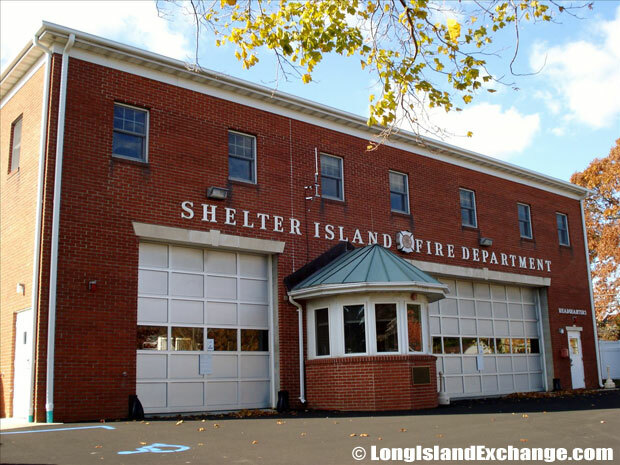 The Shelter Island Fire Department. Shelter Island Presbyterian Church, 32 North Ferry Road. 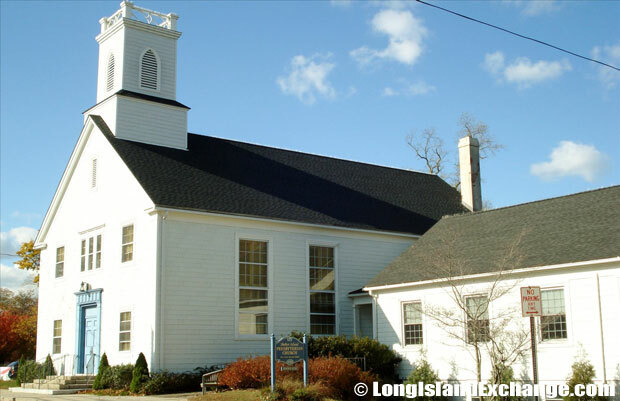 Shelter Island has six places of worship in different churches including Evangelical, Roman Catholic, Presbyterian, and Episcopal Church. With four public beaches and a beach club, the island is a favorite place for yachters; The Yacht Club still remains a social and yachting center for many summer families. Aside from it, Shelter Island has also a golf course that can be played at both a public course and a private club.